How has the month flown by? Where did it go?! I’ve officially been living in Baltimore for over a month and working full time for more than a month! In this time, I’ve spoken to Casey twice and have been lucky enough to see my Dad and my sister! It’s certainly been a crazy busy month at work and home and trying to balance everything I’ve got going on, but I also don’t want to lose sight of how lucky I was to be able to have those highlights. The phrase for the month: Falling in love with fall. All too often we get caught up in the social pressures to do something or in our phones or thinking about what comes next. Let’s take this month to be really, really present and take the time to fall in love with October again. Blog // Grow Social Media. Current Stats: Twitter, 42; Instagram, 2024; Pinterest, 328 SUCCESS. Current Stats: Twitter, 209; Instagram, 2020 (okay, a decrease, but increased interaction); Pinterest, 398. Blog // Launch Facebook Page SUCCESS. You can like us here. We’re currently at 316 likes. Blog // Catch up in and participate in #VictoriaPlansSeptember Challenge on Instagram. FAIL. I was too late when I tried to start and I just wasn’t interested in playing catch up. At all. Blog // Manage editorial schedule proactively. SUCCESS. Only two posts went up later than I wanted. Otherwise, we posted all but one day this month and I’m happy with how it went. Emilie // Read the VFA Book Club Book (This is How You Lose Her) and Go Set a Watchman. MIXED RESULTS. I did read TIHYLH, but I got so bogged down afterwards that I didn’t actually get the chance to get past page 60 or so of GSAW. I’ll definitely have to get through it this month. Emilie // Set up goal wall in new apartment. MIXED RESULTS. Emilie // Finish unpacking apartment SUCCESS. Everything is unpacked. All the boxes are thrown away. Laura // Make a budget and stick to it. FAIL. Definitely didn’t even kinda happen. Laura // Write more regularly this month. SUCCESS. Laura // Get ahead in school work. MIXED RESULTS. Didn’t get ahead, but didn’t fall behind either. Blog// Push out three quality posts per week, purposefully cutting back from five per week we did this month. By committing to less posts, we’re going to committing to only quality posts. Blog// Participate in the Blog Passion Project‘s Pintober Challenge! Emilie// Finish the Paperwork for that secret project. Laura// Eat less junk food – stress eating is a problem. Only once a week. Laura// Don’t kill anyone. It’s been a stressful time. Really hoping this one is a success. Laura// Get all my homework done and at least 6 hours of sleep each night. 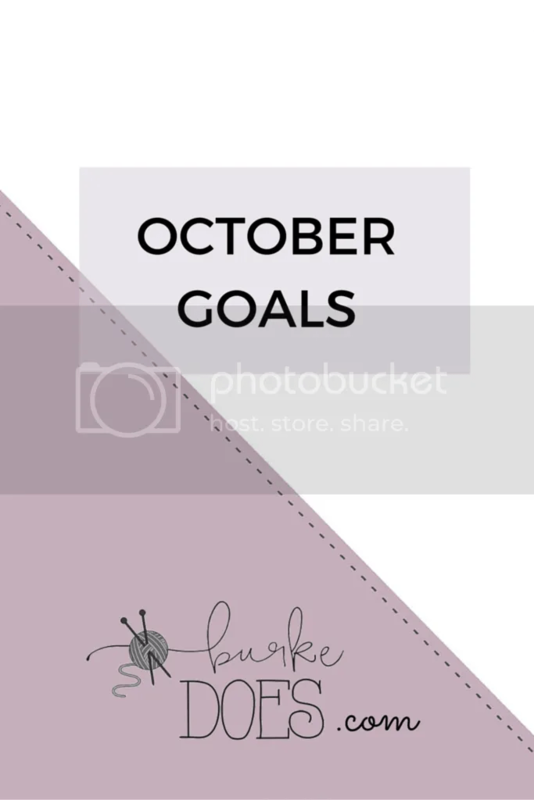 So those are our goals for the month. What are yours?